We understand that your pet has become a member of the family. Pet insurance can provide you with the peace of mind knowing that you are prepared to give them the best health care possible. Pet insurance in Connecticut provides affordable and flexible plans to fit your pet’s needs and your budget. 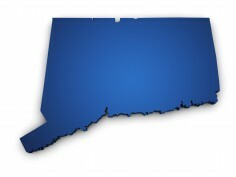 Our goal is to provide you with the area-specific health risks and concerns to dogs and cats in Connecticut. Understanding these health risks can help you make an informed decision about the right pet insurance plan for you and your pet. The geographical conditions and climate in Connecticut can affect your pet’s health. It’s not just the cold weather in Connecticut that causes certain risks to pets, the warmer months bring a high population of fleas and ticks which can transmit potentially life-threatening infectious diseases. Dogs in Connecticut are diagnosed with Lyme disease, which is transmitted by ticks, almost six times the national average! Fortunately, there are several different ways to protect your dog from Lyme disease through tick control and vaccinations and Connecticut pet insurance can help pay for these treatments. Dogs in Connecticut are also more commonly diagnosed with Kennel Cough compared to the national average. Cats in Connecticut are also more commonly diagnosed fleas and ticks as well as roundworm. Fortunately, these common health conditions among dogs and cats in Connecticut are preventable and/or treatable through routine veterinary care and pet insurance can help protect you and your pet from the increasing cost of health care associated with these illnesses. Pet owners should also watch out for area-specific health concerns. The unpredictable weather in Connecticut, ranging from hot and humid summers to cold and snowy winters, can cause certain area specific risks including severe thunderstorms, flash floods, snowstorms, hurricanes and tornadoes. The Connecticut’s state website provides information on how to protect you and your pet in the event of an emergency.